We are back with another installment of the Aha! Moment debt series! This month we meet Rebecca Arcarese, has paid off $90,000 in debt to become completely debt free. She and her husband worked together through medical bills and mental illness to take control of their finances. 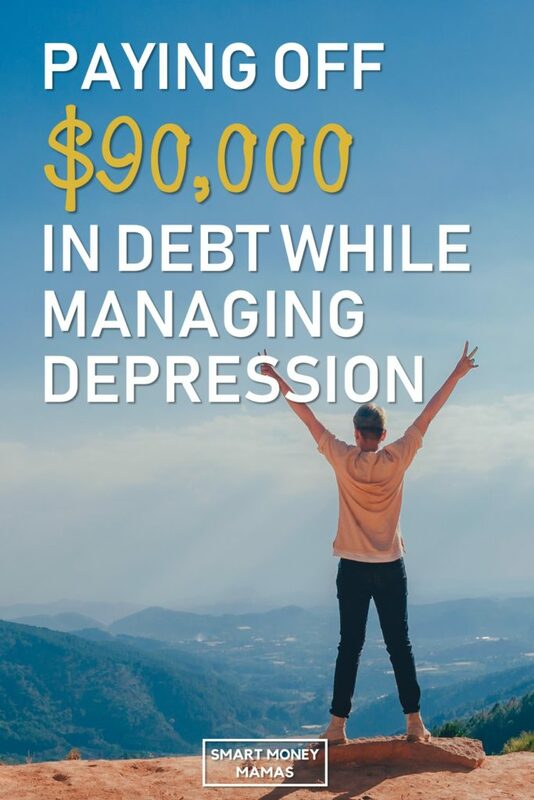 Check out Rebecca’s story and discover how they broke the stressful debt cycle with the advice of friends to become debt free! If you would like to be considered for an interview, drop me a note! 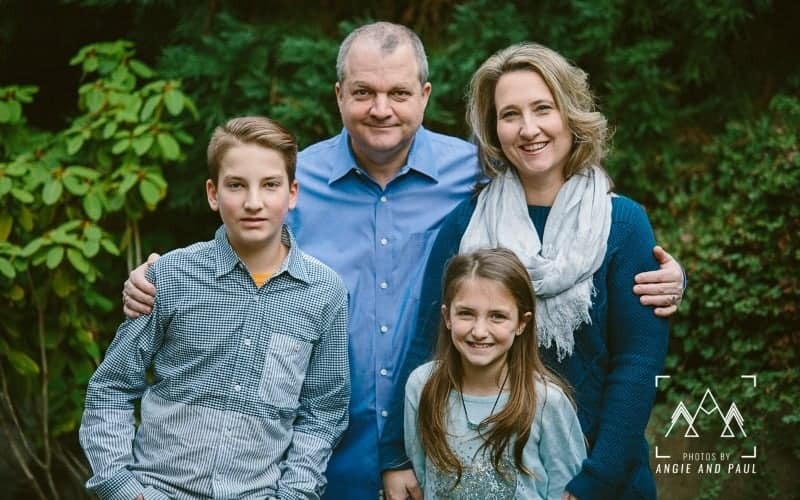 I’m Rebecca, I am 45 years old and was raised in St. Louis, MO but now living in Seattle, WA. I’ve been married 16 years and have 2 kids. I met my husband through a job that I only intended as a stepping stone. Seattle was never the planned ending place. But we met, married, and I stayed in Seattle. We love it here. I am now a blogger/writer/speaker. I started my BC (before children) career in Washington, DC and then entered the world of international transportation. Due to 9-11 and hard challenges with the birth of my son, the career I was in suffered a hit so we decided that I should stay at home for a season. It is a story for another time… but also played a part in our debt. We continued to live at the one-income level for a season. How much debt do you have today and where did you start? Zero debt. Yes, ZERO! We started with $90,000 of debt in 2001. That included credit cards, medical, student loans, and cars. We were able to pay it all off in three years. We were able to purchase a home, which we sold last year for more than we paid for it and are currently in transition looking for another home. What was your “aha” moment that made you realize you had to get out of debt? We were rotating the bills we could pay and having to pay some on credit cards. It was a circle that was stressful beyond anything I have ever known. In addition, we had a newborn baby and I was facing the reality of limited immediate job options with a new baby. (I also was recovering from a c-section.) Each month added to our debt total. The “aha” moment came when a friend came to help us and asked us to actually add up our debt and get all bills together. I hung them on the wall. We later pulled them off as we paid them off. It was a happy celebration as we made progress. What lifestyle changes did you make while paying down debt? We moved into the cheapest apartment we could find. We drove only when going to work. I got a job as a barista from 3:30 AM to 8 AM every morning and my husband would meet me at work to give me our son. Then he would go to work. We did not eat out, go to Starbucks or anywhere for extras for three years. In addition, my husband was depressed. We got him into counseling so he could get up and go back to work. He quickly switched jobs and was able to work on getting in a better “head-space”. Did you have a side hustle (side job) to help you pay down debt faster? I worked as a barista. My husband would work whatever “extra” opportunities he could find. We worked seasonal jobs on top of the regular ones that went directly to pay off debt. What was the biggest setback you’ve faced while tackling your debt? My husband’s depression was the biggest hurdle. He had a hard time getting out of bed and going to work. In addition, I was recovering from a c-section and had to go back into surgery one month into my recovery. Our medical bills piled up as everything was “emergency” and unplanned. It was a shot in the gut (in more ways than one!). Did you and your spouse have any differences of opinion on how to get out of debt? How did you get through it? My husband and I never “intended” to go into debt. We just stopped paying attention. When we realized how much and how far it had gotten, it was our wake up call. Thankfully we are both of the mindset that we needed to go to someone who had knowledge and credibility in how to help. 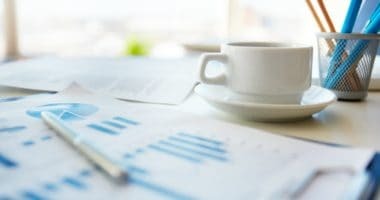 We used our contacts to reach out to a financial planner who gave us the initial plan and another friend hooked us up with a financial program. We did it together. It didn’t mean there weren’t disagreements along the way on both sides. But we were on the same team and on board with doing whatever it took to change our circumstances. For us, it was helpful that there was someone else telling us how to do it. We followed his instructions diligently and without question. Our greatest struggle came in the intensity of following the plan! Did you use a debt snowball or avalanche? For those of you who don’t know, you can read about both methods here. But the short story is that a debt snowball means paying off your debts from the smallest balance to the largest. An avalanche is paying off your highest interest debts first. Absolutely debt snowball saved our lives. I also was bold about asking for debt forgiveness and adjusted charges for medical bills. 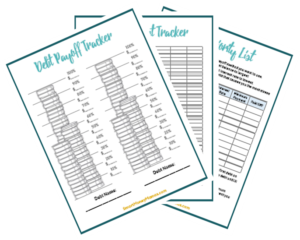 Grab Our Free Debt Payoff Trackers! Creating a plan for debt freedom is the first step! What financial mistakes did you make while getting out of debt that other families can learn from? We probably did not celebrate enough as little hurdles were met. And since I was now stay-at-home and not going back to work, I never cleaned up my credit score. I worked on my husband’s and his is stellar. I have had a harder time coming back with not at least doing something in my name to recover a good credit history. It is awesome now, it just took twice as long because I only focused on his first. Now that you are debt-free, do you have a new financial goal you are working towards? Our new goal is to pay down our new house quickly. We are budgeting for 3x what our mortgage payment will be. In addition, we are working with a planner to help us with retirement and long-term planning. Finally, where can readers find you and follow your story? My story comes out in various posts on my blog, Embrace the Crazy. You can also find me on Facebook and Instagram. Rebecca, thank you so much for sharing story! 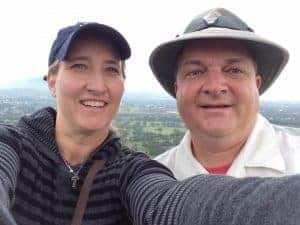 Medical issues and depression are real hurdles in tackling big goals like getting out of debt, and you and your husband have accomplished so much together. It is inspiring. Sometimes you need outside help. Getting out of debt can require some major lifestyle changes, like Rebecca’s part-time job or their complete cut to dining out. If making those changes seems daunting, or you don’t know where to start, talking to friends or a financial coach can set you on the right path and give you the motivation to keep going. No one intends to go into debt. Most of the time, we get into debt because, just like Rebecca and her husband, we stop paying attention. Even if you’re in a good financial place now, it is important to keep track of your spending and plan for unexpected expenses. Celebrate the small milestones. Whether it’s crossing a debt off your list, pulling it off your wall, or going out for an ice cream, remember to celebrate the little stuff. Debt payoff can take years and it is a lot of hard work. Don’t forget to give yourself a break and reflect on how far you’ve come. What did you think of Rebecca’s story? Any thoughts you would add? I also hung all of my medical debt up on my bulletin board. I currently have on sticky note with my decreasing student loan balance. Thanks for this post, people aren’t usually so candid about money, mental illness, and debt.